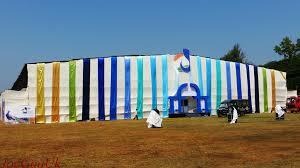 "Goa is now a permanent venue for the IFFI. That is why whatever we decide needs to be on a long term basis. It cannot be on piecemeal basis," Entertainment Society of Goa's vice chairman Damodar Naik said. The ESG is the nodal government agency which in partnership with the Directorate of Film Festival (DFF) is hosting IFFI in Goa since 2004. The infrastructure for the festival, on the lines of the Cannes (in France) festival, would be put in place by next year at Dona Paula near Panaji, he said. "On the lines of the Cannes festival, there will be a permanent structure which would host the IFFI and will also be a 365 days' activity centre," Naik said. "Things are in the planning stage. I should say it will be more than Cannes. Cannes will think that they should have infrastructure like Goa," he claimed. Goa Chief Minister Manohar Parrikar had recently met Union Information and Broadcasting Minister Prakash Javadekar where the issue of setting up permanent infrastructure to host IFFI was discussed. The IFFI would be held from November 20-30 this year in Panaji.